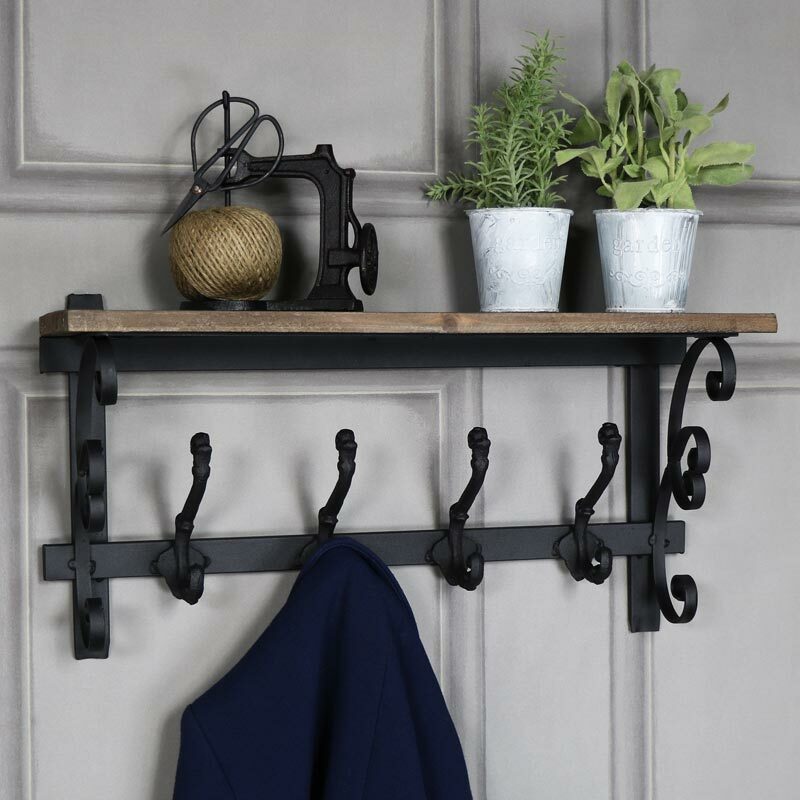 Looking for that additional storage and a place to hang your coat, look no further than this wooden wall shelf with ornat metal hooks. 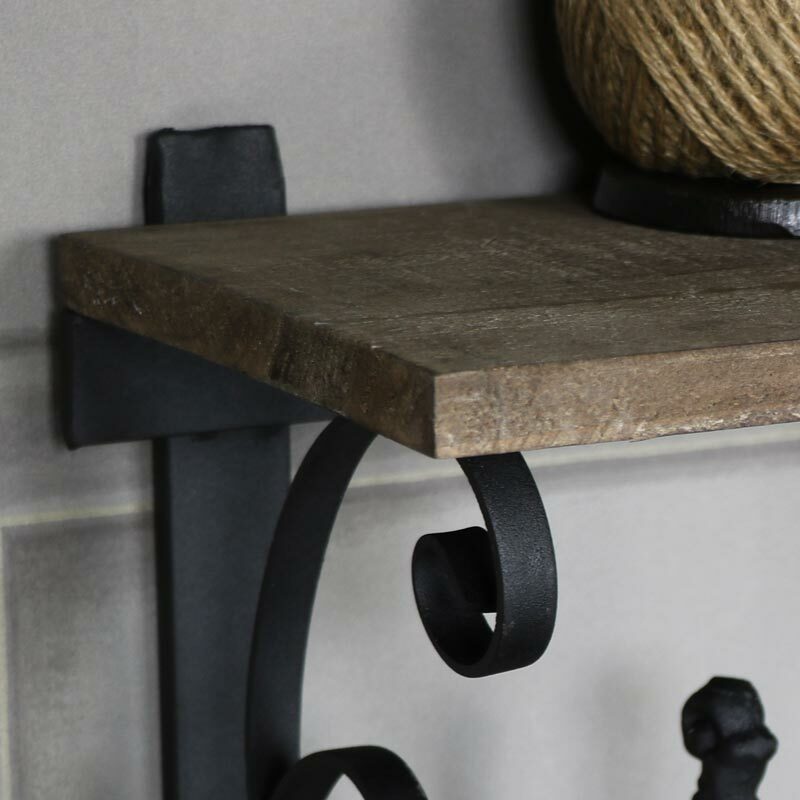 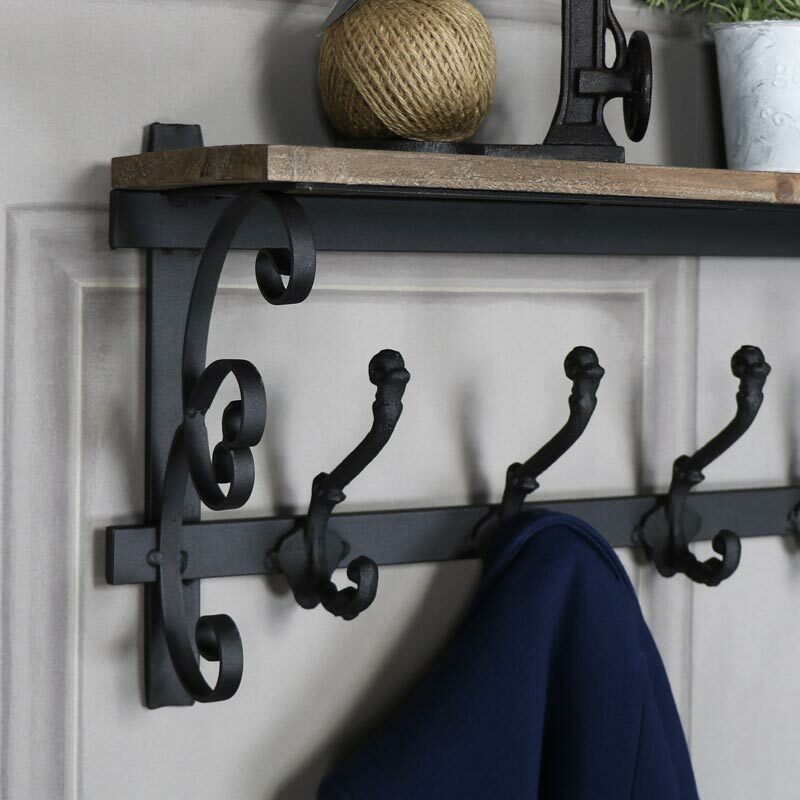 Ornate iron hooks and scrolled wall brackets, this shelf adds a vintage rustic country feel to your home. 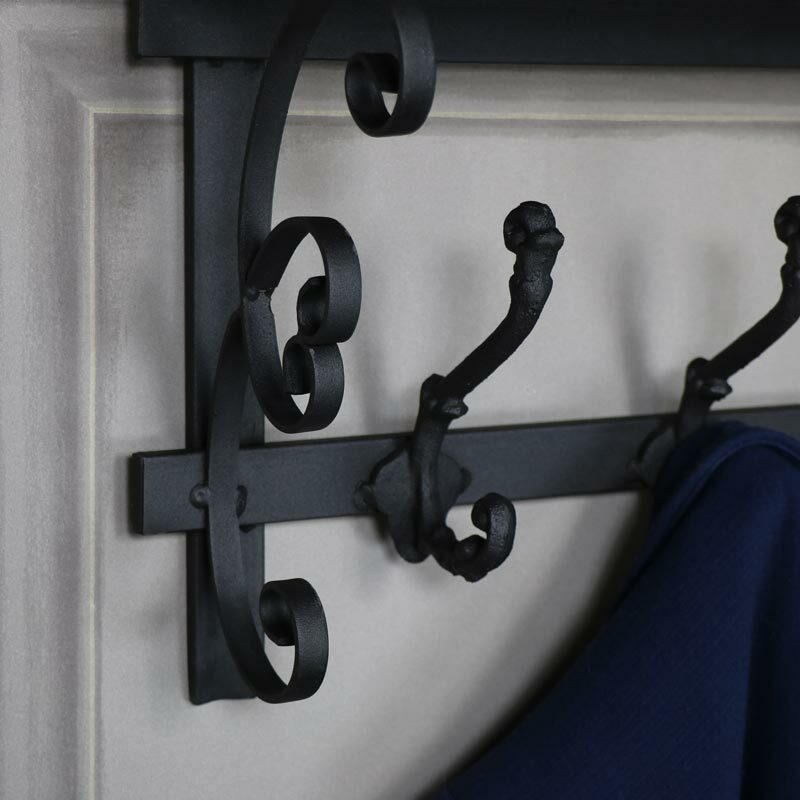 Both practical and stylish that would suit a coutry style home or add a touch of vintage charm.